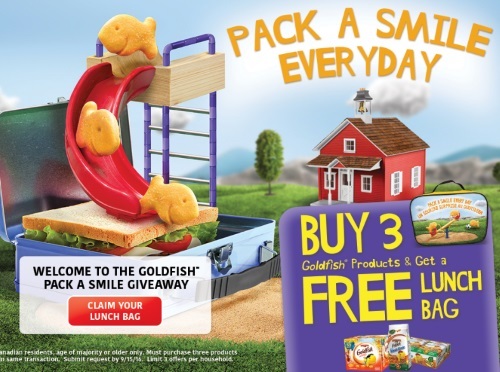 Get a Free Goldfish Lunch bag with this new offer! Purchase any 3 Goldfish products (156g-1.36kg) and submit your receipt. Purchases must be made in single transaction. Purchases must be made between July 16-September 15, 2016. Requests must be submitted by September 15, 2016. Limit 3 per household. Allow 6-8 weeks for delivery.